Now Available! 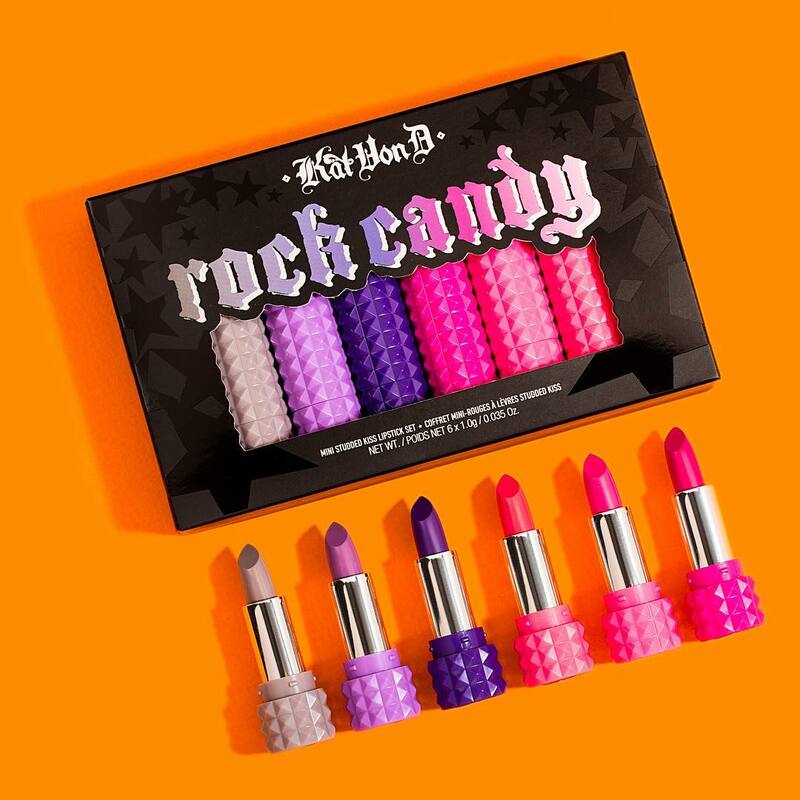 Kat Von D Rock Candy Studded Kiss Lipstick Set + Swatches | Top Beauty Blog in the Philippines covering Makeup Reviews, Swatches, Skincare and More! A super limited-edition set of six mini brand new Studded Kiss Lipsticks in first-ever color-matched packaging. 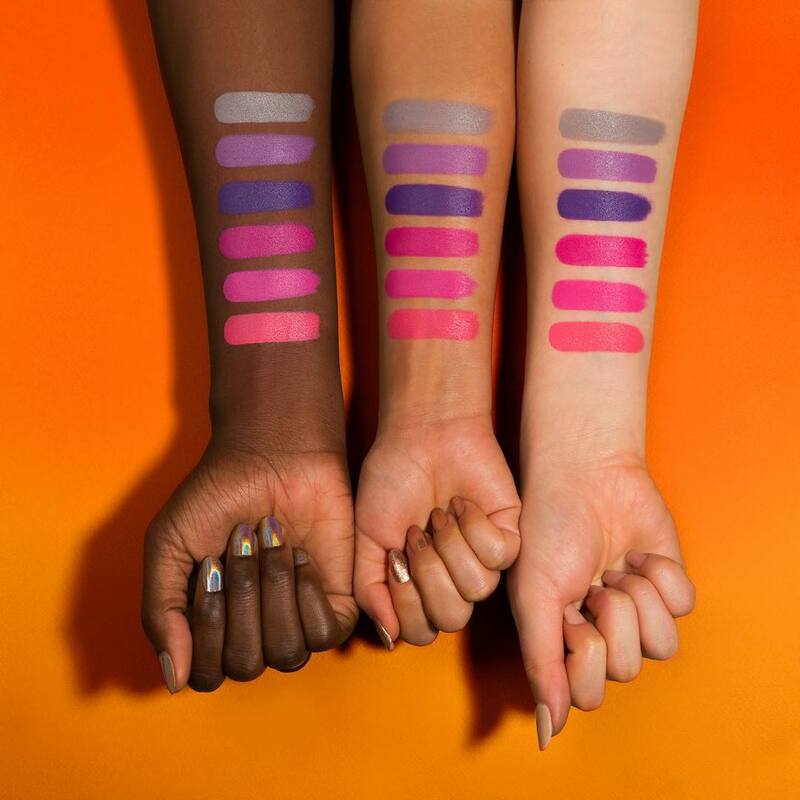 This limited-edition set of six minis features brand new bold and bright shades so you can rock rich, matte pigment with unstoppable staying power and all-day comfort. Rock Candy is inspired by Kat herself; she’s a self-described "soft candy with a hard shell"—edgy and tough on the outside, but super sweet at heart. Studded Kiss Lipstick drenches lips with bold color and unstoppable femininity. Designed to look as rock ‘n’ roll as its wearer, this revolutionary lipstick features Color Cushion Technology™, which combines lasting wear, one-swipe payoff, and velvet-touch comfort. Oh! I read the review about this lipstick before from Linda and I was like "wow, the colors are sooo pop!" I mostly like Ziggy anyway, so beautiful!